As the warmth of summer fades into a distant memory and the nights grow longer and darker, the cold winter months ahead can seem a little uninviting. The effects of icy temperatures, heavy rain and lack of sunlight on the human brain are well documented ‐ it’s not uncommon for people to experience low mood and even illness as a result of the changing weather conditions after the clocks go back. It may surprise you to hear then, that Denmark, one of the coldest and darkest countries in Europe with notoriously long and harsh winters, consistently ranks among the happiest nations in the world. Whilst there is some debate as to the reasons for this, in recent years, the concept of ‘hygge’ has been introduced as a key component in helping Danes secure their happiness status. ‘Hygge’ can’t be easily defined; many people think it’s easier to feel and experience than talk about. 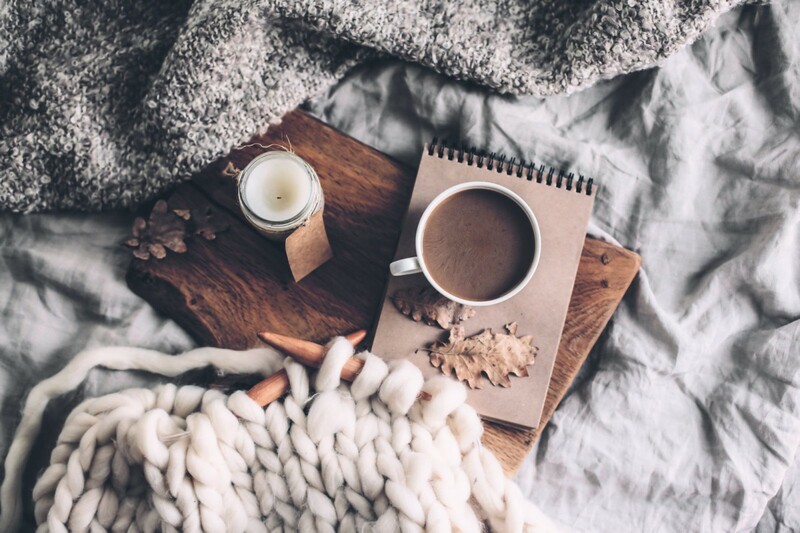 So we’ve come up with 5 top tips for bringing hygge happiness into your life this winter ‐ read on for inspiration! Fill your home with candlelight. The gentle, mesmerising quality of natural light makes candles the perfect aid for any relaxation routine ‐ it’s little wonder that Danes burn more candles per head than any other country in Europe! Wrap up warm in your snuggliest jumper, your softest scarf and wooliest socks. Enjoy the sense of comfort that these clothes bring: casual is key. Get out into the great outdoors. The positive feeling from just a few minutes’ exposure to nature can last for hours ‐ a morning walk in the park can set you up for the whole day! Ditch the diet and give yourself permission to enjoy a break from healthy eating. Have that piece of cake, that hot chocolate, that pastry; savour the experience free from guilt. Spend time with the people you love. Focus on family and catch up with close friends over a good meal and good wine. Invest in relationships with people who will share those special memories.